Concerned about the high cost of your meetings? 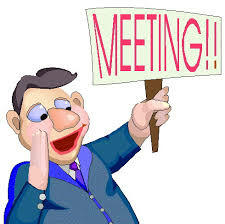 Do you hold monthly safety meetings? Or quality review meetings? How about management meetings? Ever stop to figure out how much these cost? Let’s do the math. Let’s say we have 5 people at a safety meeting. We could calculate each person’s individual salary but let’s use an average salary of $50,000. Say the meeting lasts 1 hour (do meetings ever last only 1 hour?). = $125/hour. (or $25 per hour per person attending). How about management get-togethers? For argument’s sake, let’s say the average salary jumps to $100,000 and the meeting lasts 2 hours. Now we have a meeting that costs $500. ($100 per hour per person). Want to see how much time you really "spend" in meetings? Check out this little tool. These cost calculations are on the low side. Studies have shown the real costs are much higher. They also show that upwards of 60% of a knowledge worker’s time is spent in meetings. They are indeed very costly in both terms money and time. For that kind of investment you would hope that the time is spent effectively. But is it? Those same studies also reveal that, in general, meetings are unproductive and wasteful, suffer from a myriad of problems, and make managers and workers alike dissatisfied with the process and the outcomes. Unfortunately meetings are essential to accomplish tasks that individuals cannot complete by themselves. There is lots of advice on how to improve meetings, but the results seem to have had little effect. One issue we actually can tackle is having all necessary documents available so meeting time is not spent on this. Quality and safety meetings often involve a host of documents, procedures, spreadsheets, process maps, etc. and are great opportunities to save time and resources with on-line document management. With one master document accessible to specific participants, the most current information is always available. Also, having an accessible progress map to show who is working on what issues would eliminate the need for update meetings (and free up more time to actually working on those issues). If this is available on-line, then the cost to bring people together from remote locations/departments is also eliminated. For less than the cost of one meeting a month, CIS Software will manage all documents, schedule all safety, quality and management meetings, keep track of progress on all outstanding issues (who is working on them and what actions they have taken), advise everyone of upcoming deadlines and possibly eliminate the need for many of your current meetings. Let me summarize by saying that if you are serious about lowering costs and improving the effectiveness of your quality, safety and management meetings, you owe it to yourself to look at CIS.